Ahmad Nasser Jarar, who headed terror cell that murdered Rabbi Raziel Shevach, killed during operation in Jenin. Ahmad Nasser Jarar, the terrorist who headed the cell that murdered Rabbi Raziel Shevach last month, was eliminated early Tuesday morning in a joint operation of the Israel Security Agency (Shin Bet), the IDF and the Israel Police, it has been cleared for publication. Jarar was a key member of the terror cell responsible for the shooting attack, and personally participated in the attack. During the operation, the terrorist left a building in which he had been hiding and was shot dead by the forces. An old M-16 was found on his body. There were no casualties among the Israeli forces. Rabbi Shevach was murdered in a shooting attack last month near Havat Gilad in Samaria. The terrorists fired at Rabbi Shevach's vehicle at close range and then fled the scene. Jarar was the only member of the cell who has not yet been captured by Israeli security forces. 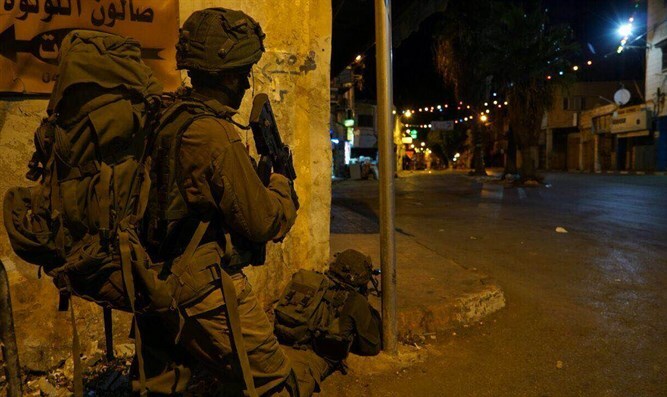 Since the attack, the IDF and the Shin Bet had been conducting a manhunt for him and blocked the city of Shechem (Nablus) and other nearby villages. Investigations carried out by the Shin Bet indicate that the cell headed by Jarar was involved in additional attempts to carry out terrorist attacks and in planning other terrorist attacks. The other terrorists who were arrested by security forces are being interrogated, and a gag order has been imposed on the details of the investigation.